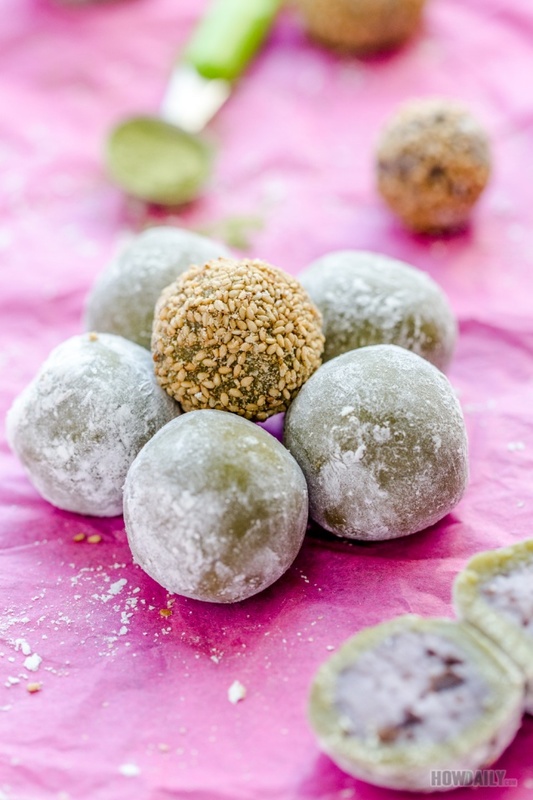 If you’re looking for something cute and easy to make for your little ones or even yourself, try these sweet potato matcha mochi. They taste so yum, and with some markers, can attain unlimited cuteness. 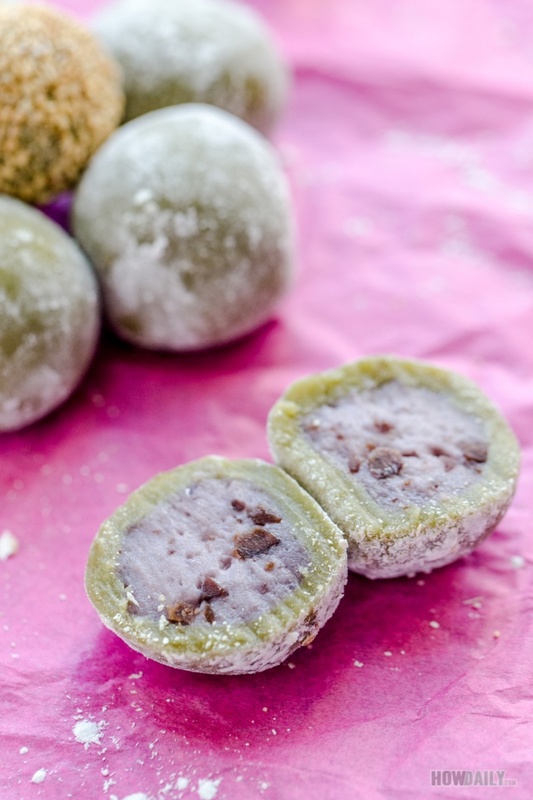 Japanese mochi is one of the popular dessert that is famous for its own cute-ism. There are just so many types and flavors of mochi, that you could twist here and there. 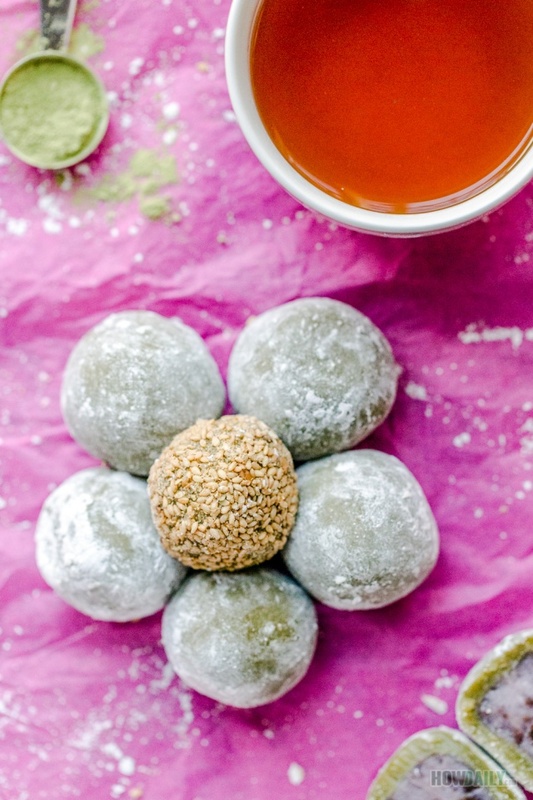 For this cold season, nothing taste better than a mochi and a cup of hot brown rice tea. Mochi is fairly easy to make, basically there is an inner filling with outer skin and coat with some dusting. You can variate the color or substitute ingredients to make different flavors. Soaked crushed nuts, sesame seeds, coconut flakes and cornstarch are all good choices for outer coating. Now, just doodle with food markers and you have the cutest dessert ever. Steam, boil or bake sweet potatoes. While they're still hot, remove skin and smash with a fork. Add in glutinous rice flour, sugar and remaining filling ingredients. Knead them good, add more water if needed. Knead and roll into long dough roll. Cover with plastic wrap to prevent drying. 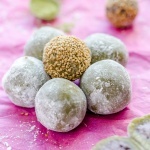 Combine all ingredients except water to make green tea mochi skin into a large container. Mix them good before slowly adding warm water. Mix into dough, add more water if needed. Divide both the filling and skin into 16 equal parts. Dust your work area with corn starch, then roll each part into ball shape. Put 1 filling ball into 1 skin part, then pinch to close. Space them apart on your steamer, and steam for 15 minutes or bring a pot of water to boil and steam the. 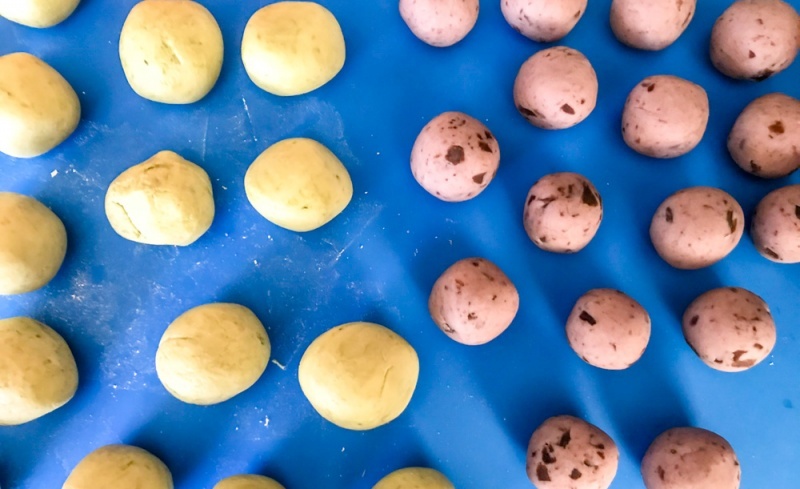 Scoop the steamed mochi out, and coat them with cornstarch, sesame seeds or coconut flake or your favorite sprinkles.